Leading transplant experts share vital information to help you make informed healthcare decisions before and after transplant. 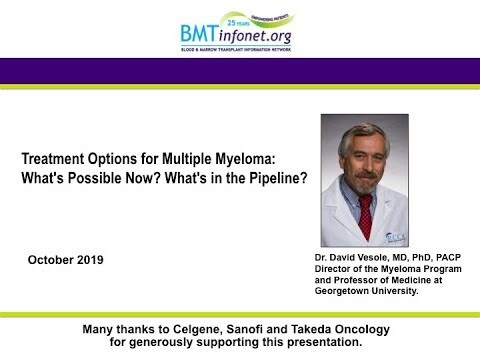 Treatment Options for Multiple Myeloma: What’s Possible Now? What’s in the Pipeline? 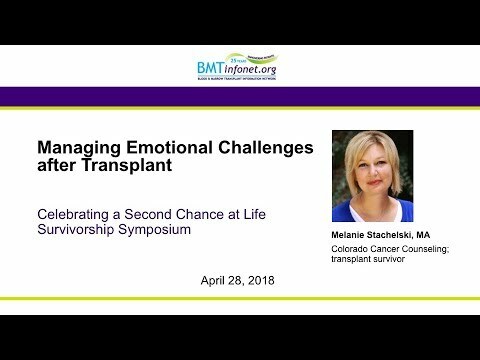 Learn the components of a successful long-term survivorship plan and the role you, your caregivers, your transplant team and doctors play. 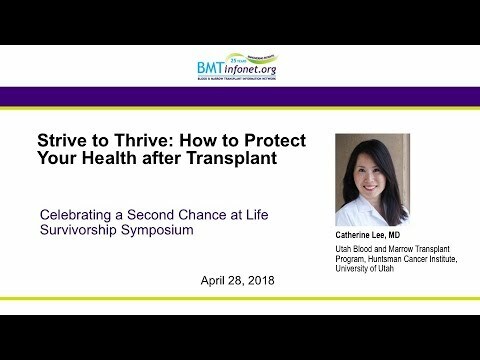 Overview of health problems that can arise after an allogeneic transplant (transplant using donor cells) and how to prevent and manage them. 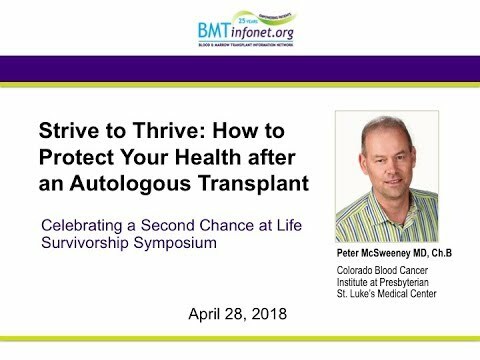 Learn From Dr. Peter McSweeney what you can do to THRIVE after an autologous transplant. Mindfulness can be a helpful tool to manage the stress and anxiety survivors feel long after transplant.